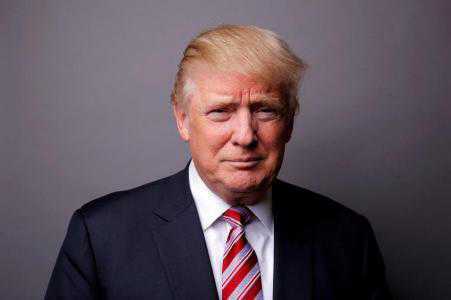 Washington:The US President Donald Trump is expected to announce on Friday additional tariffs that will hit $50 billion worth of Chinese goods, says a CNBC report.China has said that it's prepared to retaliate should the US proceed with the additional tariffs on Friday. But "a whole of bunch of stars" have aligned to allow Trump to go ahead with tariffs against China without severe political and economic consequences, said Scott Kennedy from the Center for Strategic and International Studies.China's cooperation is critical in pushing North Korea to give up its nuclear and missile programs, but that's not likely to stop US President Donald Trump from pressing ahead with additional tariffs on Chinese products. Trump is expected to announce on Friday "pretty significant action" in tariffs on Chinese goods worth around $50 billion, Reuters reported. Three sources familiar with the matter earlier told CNBC that fewer products would be affected, but the dollar value of those goods was unclear. Secretary of State Mike Pompeo is in Beijing to discuss the next steps in getting North Korea to denuclearize. But Reuters, citing an unnamed administration official, said "Trump no longer thought of China's influence over North Korea as a compelling reason not to impose tariffs now that the United States had a direct line of communication with Pyongyang." In addition, "a whole of bunch of stars" have aligned to allow Trump to go ahead with tariffs against China without severe political and economic consequences, said Scott Kennedy from the Center for Strategic and International Studies. "You've got the economy doing well in the United States; politically, at least within the Republican Party, he's in a very good standing; things in Singapore went really well; his advisors, usually at war with each other, seemed really relatively aligned at the moment ? so all those things are sort of pointing to the likelihood of the administration announcing the $50 billion in tariffs," he told CNBC's "Squawk Box" on Friday. "A whole bunch of stars [are] aligning at one time," added Kennedy, who's deputy director of the Freeman Chair in China Studies and director of the Project on Chinese Business and Political Economy at the Washington-based think tank. China has said that it's prepared to retaliate should the US proceed with the additional tariffs on Friday. Beijing could back off from an earlier promise to buy more American products including soybeans and natural gas, and announce tariffs against U.S. products that would hit Trump's key base of political support, said Laura Baughman, president of The Trade Partnership and Trade Partnership Worldwide.